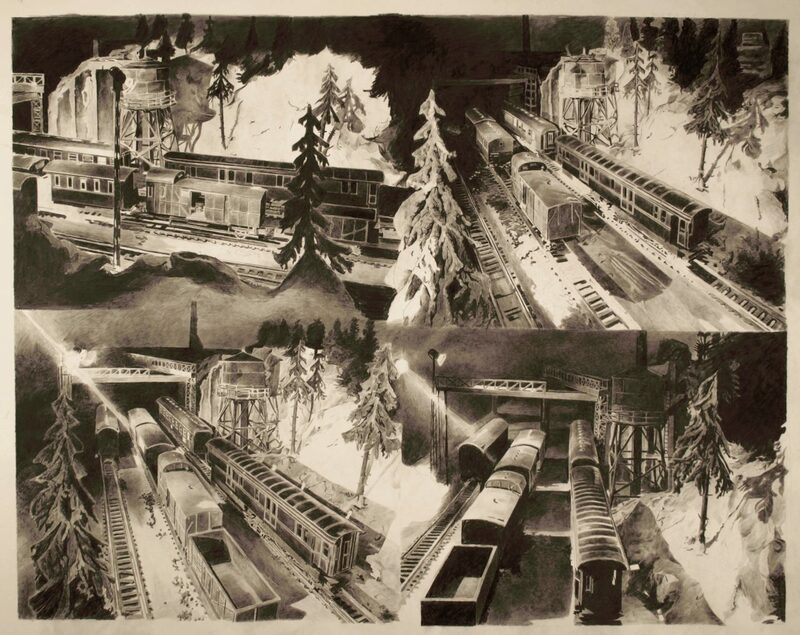 In this large-format charcoal drawing, Alexander Schellbach captures four angles on a snow-covered railway yard at night. 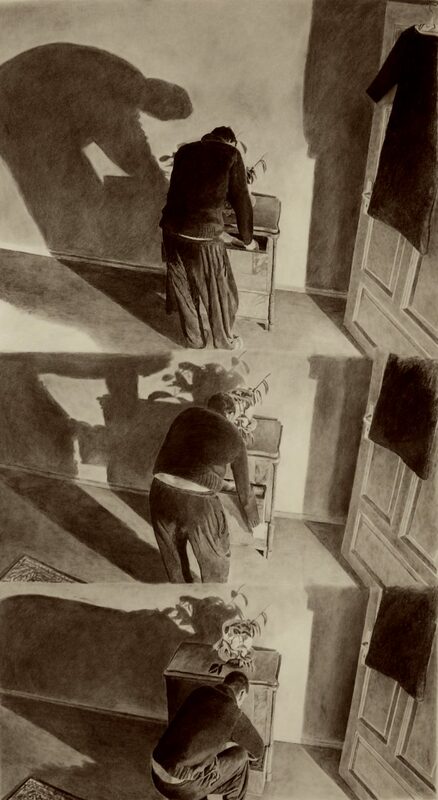 Schellbach explores the effect of lighting on our appreciation of the scene: the views from the light and dark sides give very different impressions. 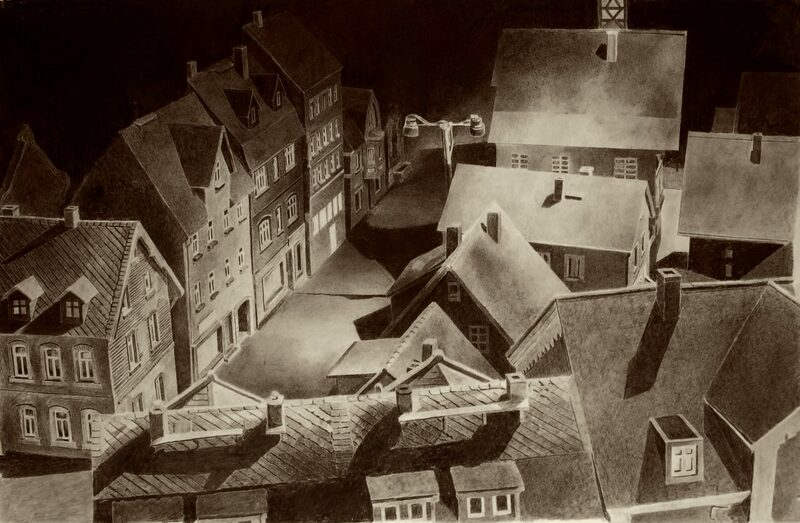 The unsettling stillness so characteristic of his work is infused through the image - there is no sign of movement except for the disappearance of a ballast truck in the top right frame.